His name graces the highest level adult member professional development award that is given by Civil Air Patrol. This award honors members that have “dedicated themselves to leadership and personal development in the CAP.” CAP members desiring positions of a regional or national significance must earn this award. Without him there might not have been a Civil Air Patrol. 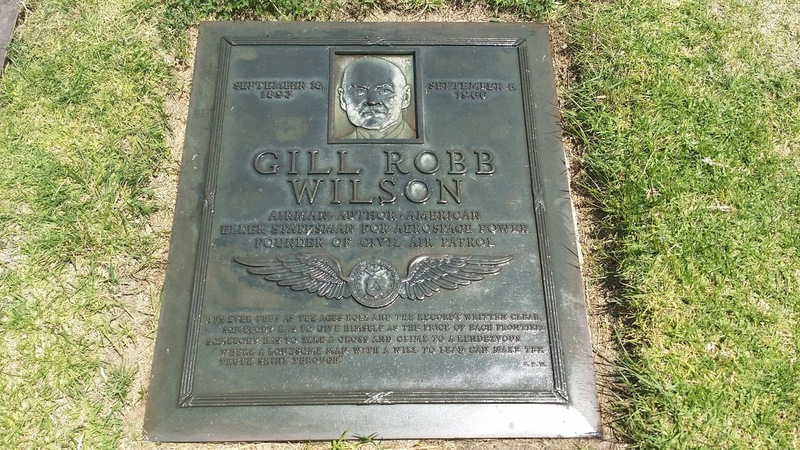 And yet, as important as he was to the thousands of members of CAP, I did not know much about Gill Robb Wilson. Yes, I remember his name from Level One orientation and from seeing his name on the award that now bears his name. However, I have been so immersed in my emergency services and specialty track training, that I just never took the time to really know the man who founded CAP … until this Memorial Day. 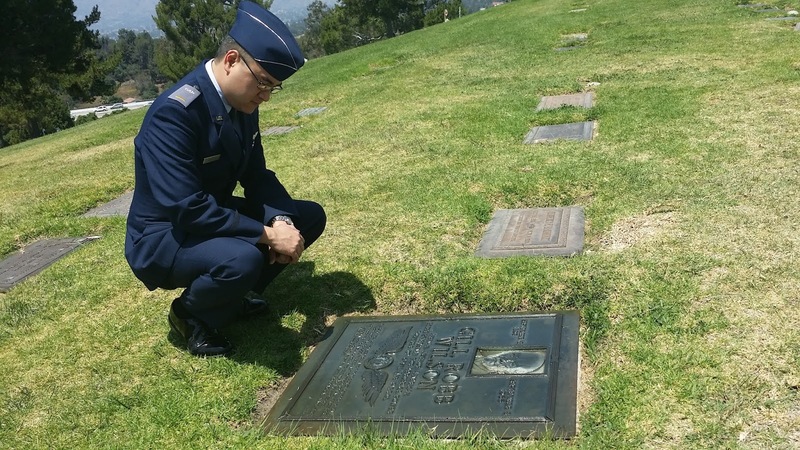 Since 1974 members of California Wing have held a ceremony honoring and remembering Wilson at his gravesite in Covina, California. I found out about this ceremony while trying to find CAP-related activities on Memorial Day in California Wing, and decided that I wanted to attend. I also chose to bring my daughter with me so that she could learn more about the true meaning of Memorial Day, and so she could get a glimpse of my life in CAP. Lt. Col. Charles Wiest presided over the ceremonies (which also included chaplains and leaders from California Wing and the Pacific Region) and let us know of Wilson’s life as an aviation and aerospace advocate, minister, poet and author. It was Wilson’s efforts that led to the United States mobilizing the skills and efforts of private pilots to defend the homeland, through founding CAP, during the turbulent period before our nation’s entry into World War II, and he served as CAP’s first executive officer. On 1 December, 1941 CAP was formed. Six days later American was drawn into a war it had tried to avoid for two years. Wilson’s vision was validated and the members of CAP served the nation valiantly and voluntarily throughout the duration of the war. 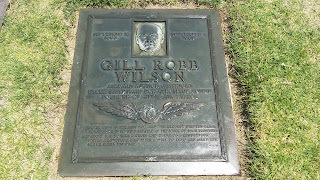 Wilson also founded the Aircraft Owners and Pilots Association (AOPA), he was a president of the Air Force Association (who also has an award named after Wilson), he was the Chairman of the Board of the AFA and was presented the National Aeronautic Association’s Frank G. Brewer Trophy for his advocacy of aviation in the United States. “It’s ever thus as the ages roll and the record’s written clear. Somebody has to give himself as the price of each frontier; Somebody has to take a cross and climb to a rendezvous where a lonesome man with a will to lead can make the truth shine through." 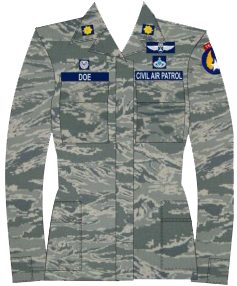 The U.S. Air Force has approved Civil Air Patrol’s request to transition to the airman battle uniform (ABU), Maj. Gen Joe Vazquez, CAP national commander, has announced. “As the official auxiliary of the Air Force CAP has a long history of wearing a USAF-style uniform, and our transition to the ABU once again brings us in line with our parent service,” Vazquez said. The phase-in period for wear of the ABU will begin June 15. Vanguard, CAP’s supplier, will begin accepting orders on that date. Meanwhile, as a result of negotiations with the Army & Air Force Exchange Services (AAFES), CAP has also been approved to receive a significant number of excess ABUS. That will allow many members to receive the basic ABU shirt and pants at no cost. National Headquarters is working with AAFES to take possession of the uniforms, and each wing is establishing a distribution plan. The battle dress uniform (BDU) may continue to be worn until the mandatory phase-out date – June 15, 2021. "Is there beverage service on this flight?" asked one of the members of our aircrew (not sure which one)-and we all laughed! If you've ever seen the inside of a Cessna 182, which seats no more than four passengers you'll appreciate the humor behind the question. While the aircraft is designed to carry four passengers-when you actually have four adults in there...well, let's just say it's a good thing we all like each other! 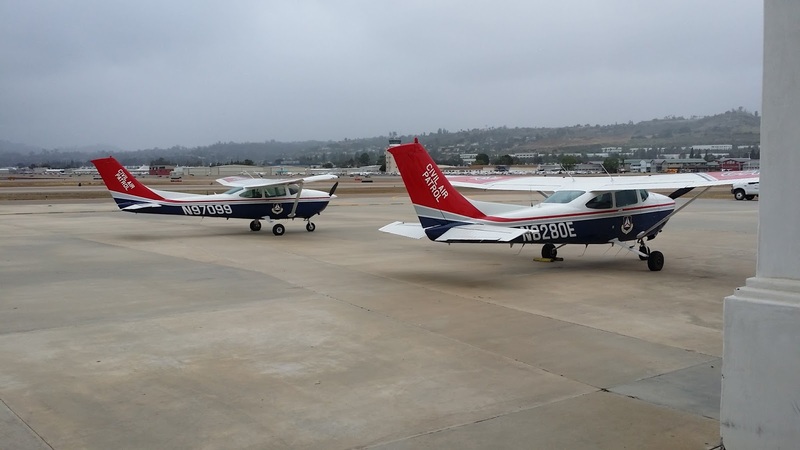 In the aircraft was a motivational speaker, a member who works for a major airline, a business owner, and a pilot instructor. 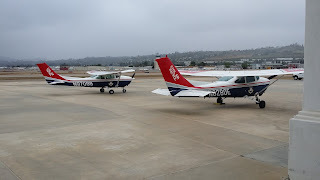 I don't know about you, but performing airborne search training is not a part of my daily activities....but today, because I was a member of a CAP aircrew, it was! All in all, just another day for the members of Civil Air Patrol. 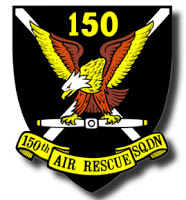 If you're interested in CAP and Squadron 150 we invite you to a Squadron meeting! We meet on Thursdays from 1930-2100 at 3976 Constitution Avenue at the Los Alamitos JFTB. If you'd like more information please contact us! KADENA AIR BASE, Japan – Air Force 1st Lt. Brittany Trimbel, a pilot with the 36th Fighter Squadron, was profiled recently in Stars and Stripes Okinawa as part of Women’s History Month. Trimbel is the only female F-16 Fighting Falcon pilot stationed at Osan Air Base, Korea, but becoming a pilot was not something she had initially dreamed of doing even though her dad was an Air Force F-4 pilot. 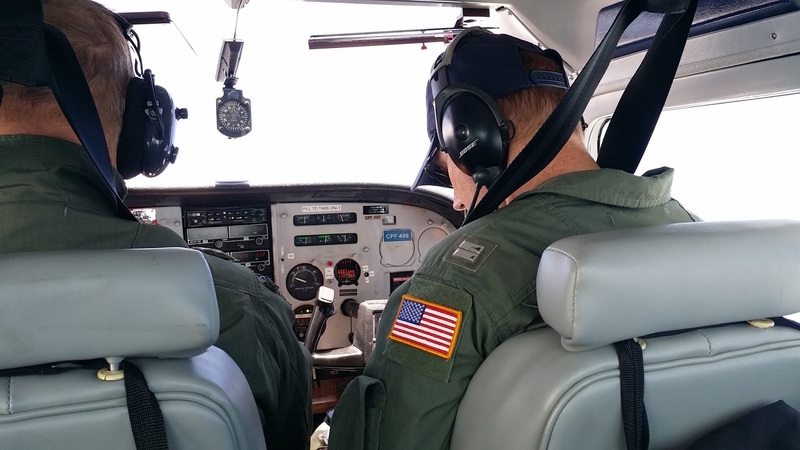 It wasn’t until she took a Civil Air Patrol orientation flight that she began to change directions in her career path and give up pursuing a degree in pre-med to follow her heart and father's footsteps as a pilot. Find out more about Trimbel and her flying career in this story written by Staff Sgt. Amber E.N. Jacobs of 18th Wing Public Affairs. Every other year the members of California Wing participate in a statewide Wing Led Exercise (WLE)-designed to test and measure the capabilities of the Wing, while providing training experience for CAP members. This year's WLE occurred 29 April through 1 May, 2016. There were two area mission bases established; one in Northern and Southern California and an Area Command base in Bakersfield. According to Capt. 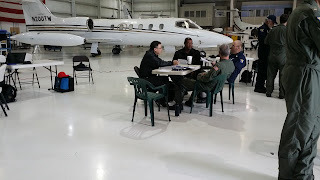 Charles Christian, CAP, the area commander for this training mission, close to 200 members, 15 aircraft, and 17 corporate vehicles participated in this mission; with over 50 air sorties flown throughout the weekend! Several members of Squadron 150 took part in the WLE, including Deputy Commander Capt. David Powell, 1st Lt Michael Wetsman and 2d Lt Rommel Anacan. There was even a real emergency locator transmitter (ELT) that was detected by CAP members during the WLE. The ELT was located and silenced. The WLE not only gave our squadron members with valuable training opportunities, it also provided members with time to connect with our fellow CAP members from other squadrons and to build friendships that are an often overlooked benefit of being a CAP member.